Ever since 1911, the Solvay Conferences have shaped modern physics. The 25th edition held in October 2011 in Brussels and chaired by David Gross continued this tradition and celebrated the first centennial of this illustrious series of conferences. 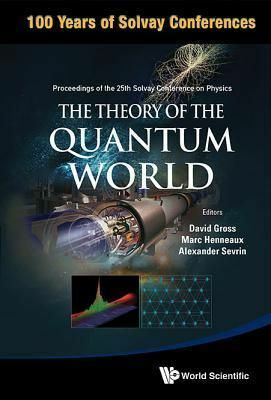 The development and applications of quantum mechanics have always been the main threads in the history of the Solvay Conferences, hence the 25th Solvay conference gathered many of the leading figures working on a wide variety of profound problems in physics where quantum mechanical effects play a central role. The conference addressed some of the most pressing open questions in the field of physics.The proceedings contain the "rapporteur talks" which give a broad overview with unique insights by distinguished and renowned scientists. These lectures cover the seven sessions: "History and Reflections", "Foundations of Quantum Mechanics and Quantum Computation", "Control of Quantum Systems", "Quantum Condensed Matter", "Particles and Fields", "Quantum Gravity and String Theory" and it ended with a general discussion attempting to arrive at a synthesis.In the Solvay tradition, the proceedings also include the prepared comments to the rapporteur talks. The discussions among the participants - some of which quite lively and involving dramatically divergent points of view - have been carefully edited and are reproduced in full.